25-year-old Californian climber Jim Reynolds has free soloed Cerro Fitz Roy in Argentine Patagonia, both ascending and downclimbing the peak with no use of ropes or gear. Reynolds soloed up and down the Northwest Ridge (Afanassieff route, 5.10c) in a time of 15.5 hours. Although lower in technical rock climbing difficulty than Alex Honnold's 2017 free solo of Freerider (5.13a) on El Capitan, Reynolds' navigation through mixed terrain on rock, snow and ice and his decision to avoid an abseil descent arguably combine to make it one of the most impressive solo ascents of all time. Remarkably, this was also Reynolds' first expedition to Patagonia's Chaltén massif. According to an exclusive report on National Geographic Adventure by Andrew Bisharat, Reynolds studied the line of the route in the weeks before his attempt, but forgot to bring the topo to the route when the big day arrived. To mark out his descent, he dabbed chalk on key holds in the hope of spotting them on the way down and built cairns to aid route finding. Reynolds had made an attempt the previous week, but aborted when a gut feeling encouraged him to descend. Despite this, most of the territory was unfamilar to him, having never climbed the route before. Reynolds carried a rope and minimal gear as a backup in case of storms, but was not required to use them - just as well, National Geographic reports, since he had apparently forgotten his harness at home. It wasn't until the feat was achieved that Reynolds realised this error, however. Shifting between rock shoes, mountain boots, crampons, axes and chalk, Reynolds dodged falling ice and made it to the summit in 6 hours 38 minutes. The descent proved far slower, forcing Reynolds to downclimb wet, technical slabs in the dark by headlamp, where he discovered that his tickmarks had been washed away. Reynolds' ascent can be compared to Dean Potter's free solo of the Supercanaleta route on Fitz Roy in 2002, although Potter abseiled to descend. Earlier in March, Reynold's free soloed the West Face 5.10c of Rafael Juarez (2450m) as a possible first free solo ascent and climbed Saint-Exupéry (2558m), via Chiara di Luna 5.11a in the same style. On both routes, however, he descended via different lines to his ascent routes. In 2017, Reynolds held the speed record on the Nose of El Capitan with Brad Gobright in a time of 2:19:44 (UKC news), before their time was shattered Tommy Caldwell and Alex Honnold brokesub two hours the following year. He works as a member of the Yosemite Search and Rescue (YOSAR) team in the summer months. Read more on National Geographic Adventure. Stay tuned for a Patagonia summer season round-up by Rolando Garibotti. Although it's a style that tends to become an necessity if you forget the topo and your harness! At least he remembered his chalk...! When and why did it become ‘free’ soloing? 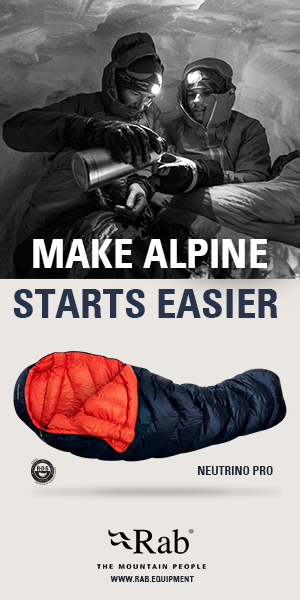 Surely a lone ascent is just ‘soloing’? It confirms rather than merely implying that he pulled on no fixed gear.